Dimensions: 8.5" x 14" x .3"
Some of the questions in the deck examination require the use of trim and stability reference material to answer questions. If a question requires the use of trim /stability reference materials, it will be specifically stated in the stem of the question. 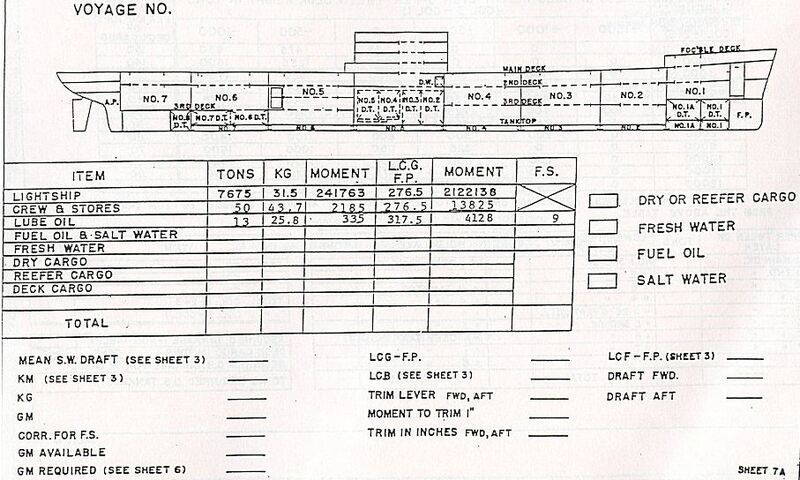 For example, if the question in your examination booklet is, “The sailing drafts are: FWD 24’ - 03", AFT 25'-03" and the GM is 5.5 feet. 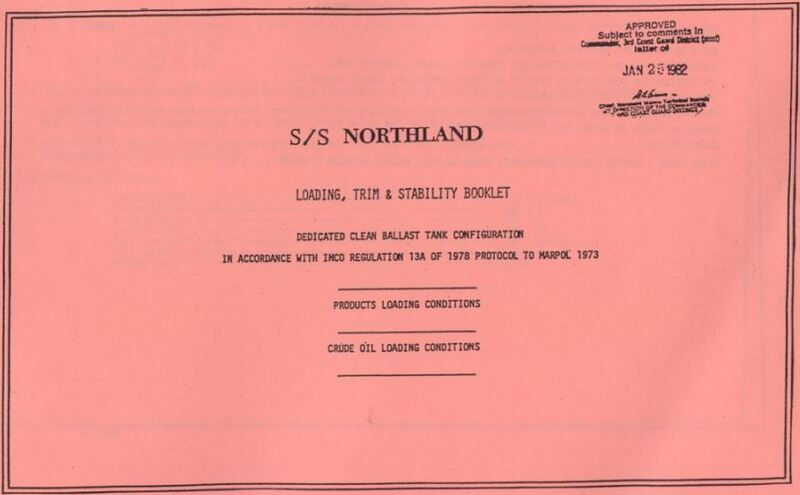 Use the information in Section 1, the blue pages of the Stability Data Reference Book, to determine the available righting arm at 30 degrees inclination. 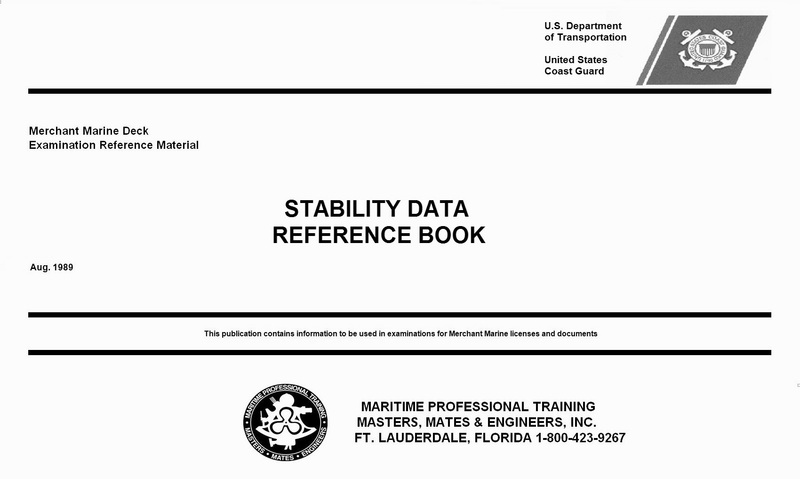 ", you must use Section 1 (the blue pages) of The Merchant Marine Deck Examination Reference Book, STABILITY DATA REFERENCE BOOK to answer the question.